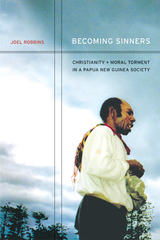 UC Press is pleased to announce that Joel Robbins has received the J. I. Staley Prize from the School of American Research for Becoming Sinners: Christianity and Moral Torment in a Papua New Guinea Society. 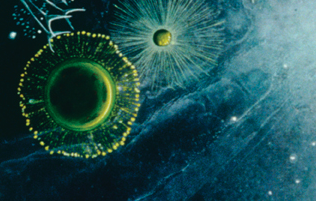 Robbins is Associate Professor of Anthropology at the University of California, San Diego, and the recipient of a UCSD Academic Senate Distinguished Teaching Award. In Becoming Sinners, Robbins explores the Christian culture of the Urapmin of Papua New Guinea, a remote people never directly “missionized,” who began in the 1960s to send young men to study with Baptist missionaries living among neighboring communities. By the late 1970s, the Urapmin had undergone a charismatic revival, abandoning their traditional religion for a Christianity intensely focused on human sinfulness and driven by a constant sense of millennial expectation. Robbins shows how its preoccupations provide keys to understanding the nature of cultural change more generally. The School for Advanced Research (SAR) presents the J. I. Staley Prize to a living author for a book that exemplifies outstanding scholarship and writing in anthropology. The award recognizes innovative works that go beyond traditional frontiers and dominant schools of thought in anthropology and add new dimensions to our understanding of the human species. The prize carries a cash award of $10,000. Visit our awards page for a list of all awards won in 2011.